Dr. Aaron E. Katz also holds a title as the Director of The Center for Holistic Urology, a center that he established in 1998. The Center performs basic research and conducts clinical trials that investigate the role of natural therapies within Urology. After graduating from New York Medical College in 1986, Dr. Katz completed a 6-year training program in Brooklyn at the Maimonides Medical Center. Following the completion of his residency, Dr. Katz was awarded a Ferdinand Valentine Fellowship from the New York Academy of Medicine to further his studies in Urologic Oncology at the Columbia-Presbyterian Medical Center. During his Fellowship, Dr. Katz developed a novel blood test, which could detect small numbers of prostate cancer cells in the blood. The test, known as RT-PCR (Reverse Transcriptase Polymerase Chain Reaction), was the first time urologic cancers were staged using a molecular assay. Dr. Katz is also recognized as an expert in the field of prostate cryosurgery. In the early 1990’s, he began using cryosurgery to cure prostate cancers. His pioneer work in advancing the technology helped Medicare to approve this therapy for treating radiation-recurrent tumors. Dr. Katz has trained nearly 100 urologists in the United States and Europe to perform cryosurgery in their hospitals. 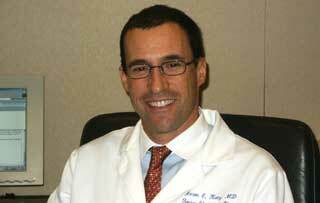 Dr. Katz has also applied cryosurgery to the treatment of small kidney tumors. To date, Dr. Katz has published over 50 scientific articles in peer-reviewed journals, and has written 4 chapters for Urologic textbooks. He has been the host of a radio program called “Men’s Health Talk” in New York City for the past year. In addition, he has lectured throughout the United States, Europe, and Japan. In 1998, Dr. Katz established the Center for Holistic Urology. This Center is dedicated to the treatment of patients with urinary tract disorders using complementary therapies. In addition, the Center has a research laboratory where the latest developments in the field are being investigated. The Center has treated well over 1000 patients, and is recognized as a leader in the field of alternative and complementary medicine. Dr. Katz has an office at the Columbia-Presbyterian Medical Center, as well as a convenient East Side office in Midtown Manhattan.